Are You Ready to Read Tarot for Others? 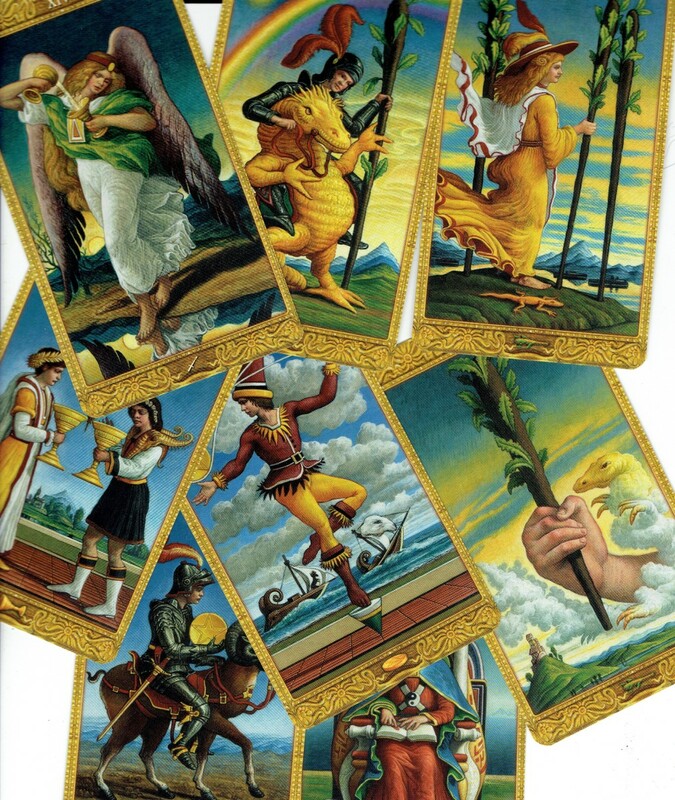 Some people love the tarot and have a great understanding of it, but never feel comfortable reading for clients. Each reader has to make a decision regarding that, but I have always loved reading for others. It is important to remember that advising others is a responsibility, and it should be taken seriously, even as you enjoy reading and connecting with your clients. I think each reader should consider a code of ethics before beginning to read professionally; it will make both you and the questioner, or querent, more comfortable. The basic rules which guide me are as follows below. The pictures I have taken are from the Motherpeace Tarot Deck. I will not read for anyone under the age of sixteen, unless they have been raised in a household where metaphysical topics are discussed often and they are familiar with the concepts. Always ask if the person has ever had a tarot reading. If not, give a short explanation so they know what to expect, and what the limitations are. The querent needs to understand that they always have Free Will. If they don’t like what they see in the reading, they have the power to change it or at least do something about it. Forewarned is forearmed! Never predict death. 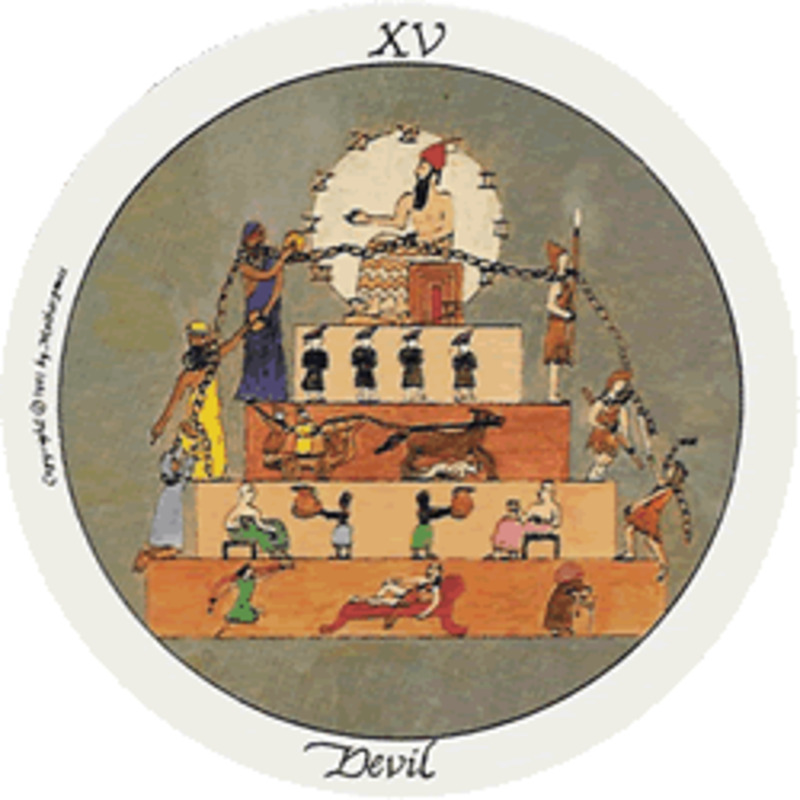 The card can mean any kind of transformation that has been thrust upon a person. If your querent has a loved one in a hospice, or hospital, and indicates they know the person is ready to pass on, take your cue from them if they seem to want to talk about it. Also, death can be metaphorical, so an old habit or issue may be leaving the querent’s life, but it is to make room for a new opportunity. Young people who seem desperate to have a relationship with a person who obviously has no interest in them is a very common topic. These are my least favorite readings, because I don’t like to give anyone false hope. I endeavor to steer the conversation away from the two of them. Try to point out possible career and job options, creative talents that can be developed, possible future travel plans, or education. The querent needs to see they are in the driver’s seat of their life, and it’s not all dependent on the person they are interested in. We can never depend on another person for our own happiness. Any reading is confidential. Don’t ever gossip about a client or reveal anything you discussed. I read at parties, but when people are drinking, situations can get complicated. This is common when a couple is there together, and one of them wants a reading. The other one often thinks their partner is cheating on them, or gets defensive, and wants to sit in on the reading. Then they proceed to try to disparage the tarot, and get in the middle of your reading. You can decide you won’t read with the partner in the room, and if the troublesome one doesn’t like that, don’t read for the querent at all. You don’t need to get in the middle of someone else’s issues. Don’t give health information; you aren’t a doctor or health care professional. If the reading indicates a medical problem, mention that it may be a good time for the querent to get a physical. Try to be tactful and don’t scare them. Some people ask questions you are not equipped to answer. Once a person who contacted me was apparently trying to change citizenship, and was asking questions about dealing with several corrupt governments. I finally told her to visit an immigration lawyer. Some querents will sit with a stone face the whole time, and you will begin to feel like everything you are saying is wrong. Trust yourself. Usually at the end of the reading, they tell you how amazing it was and you probably have a client who will become a regular. You are acting as a conduit between Spirit and this person. Your goal is to send them away more uplifted than when they arrived. You want them to feel empowered, so be sure to point out strengths you see in the reading, or any good things coming up. This is all about intuition, and sometimes even though I know the card’s meanings, I look at the reading and the meaning all jumps out at me in a flash, even though it’s different than what the cards say. Always go with your gut, sometimes you just have to throw the rule book away! Make Sure Tarot Cards Are Well Shuffled! It is not unusual to have a mother hand down a tarot deck to a daughter or son, and to just save that deck from mom for readings with family and close friends. My mother gave me my first tarot deck. Other people’s vibrations get into the decks, so I like to save that one for my most personal readings, and have another for client readings. Some people have trouble shuffling tarot cards. It does take a bit of practice. New decks are easier because the cards are slippery at first. The client can shuffle them however they are comfortable; there is no right or wrong way. They can spread them all out like a child’s game of “Go Fish” if it helps. Just be sure the cards are well shuffled. 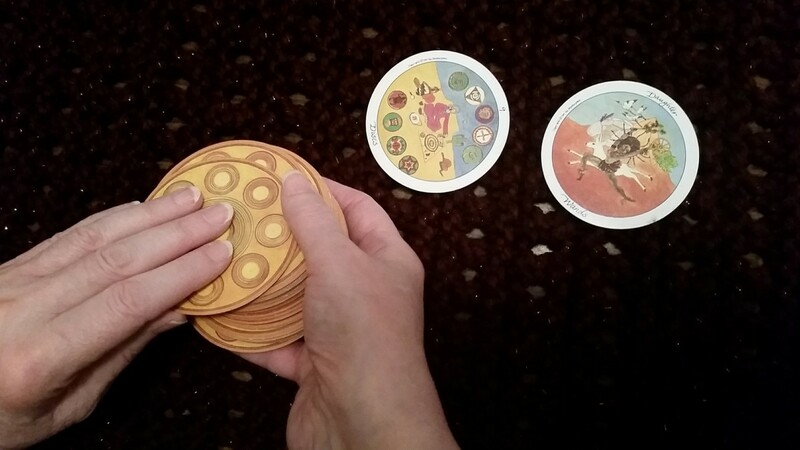 If you begin to turn the cards, and get two or three that were in your last reading, return them to the client for more shuffling. Also, if you start to turn cards and they don’t make sense regarding the question, or just don’t feel right, stop and reshuffle. 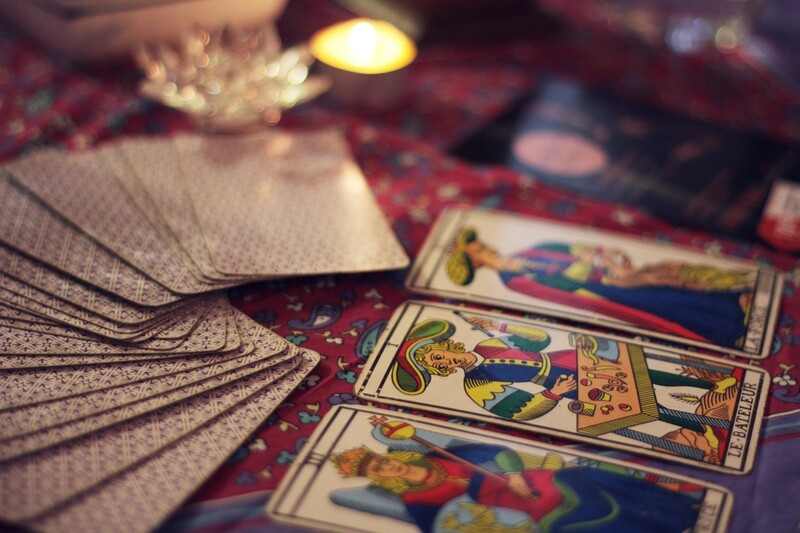 It’s what’s called a “garbage reading.” While the tarot has a sense of humor, and sometimes answers a question that hasn’t been asked, you will recognize one of these readings when it happens. Start over. 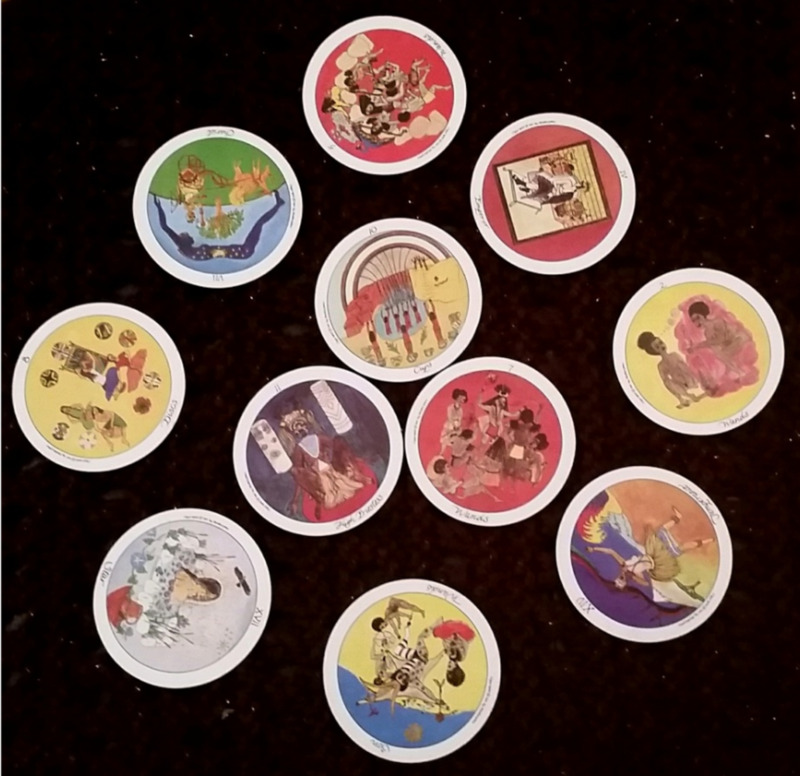 When the client puts the cards back together for the reading, they should cut them into three piles, and then put those piles together in the order of their choice before handing them back to the reader. 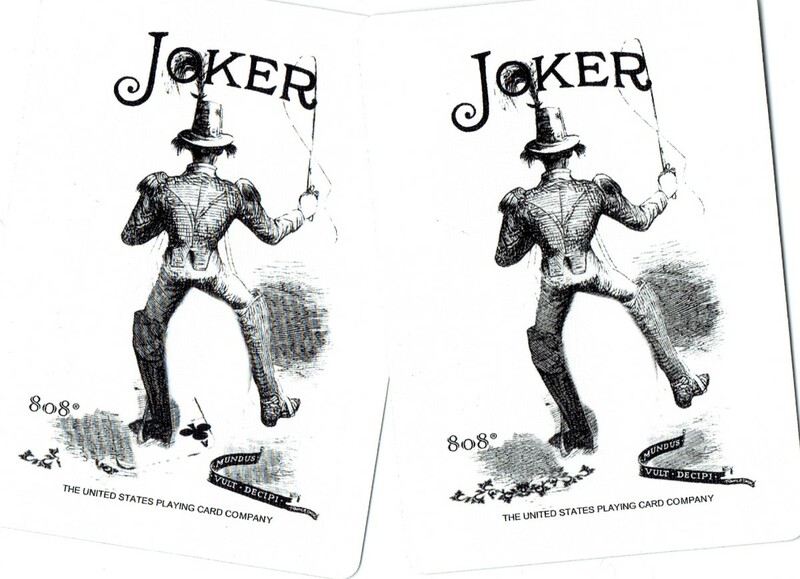 Lie the cards down so they face you, the reader. Not the other way around. How should you store tarot cards? Some prefer to wrap them in a piece of silk or carry them in a silk pouch. A nice looking wooden box is a good way to protect them too. You need to “clear” the deck between readings, not necessarily every one, but fairly often, as other people’s vibrations are getting in the cards. You can clear them by just reviewing each card, putting the cards in a sunny window for a while, or by putting a cleansing crystal of your choice on top of the deck. Two good cleansing crystals are amethyst and smoky quartz. When reading out of a business or if you have many people who come to your home for readings, I find it to be easiest to keep two decks. I like one to have the Major Arcana cards split off from the others. 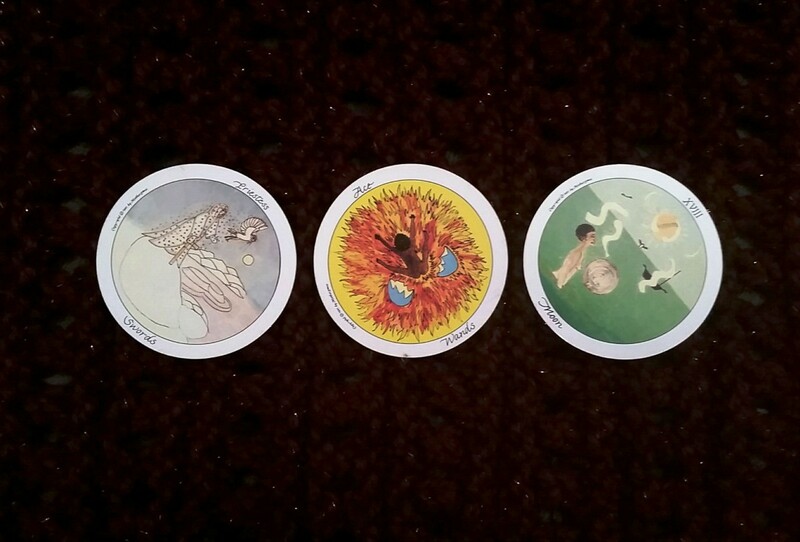 Several of the readings I prefer only use those cards; and I don’t like to keep separating them between clients. You can make up your own readings. Just do it and be sure you decided what the card positions mean and where they go before you try it out on someone else! Setting a proper mood is important as well. Light a scented candle, and have a lovely piece of cloth laid down for the cards drawn for the reading. A soothing CD played softly in the background is often nice too. Try to read in as quiet a place as possible, so you can concentrate. I hope making your own set of tarot ethics is helpful for you. I believe it is a sensible idea, and it also protects you from people who are litigious or looking for trouble. As you read more frequently, you will find your own system and what does and doesn’t work for you, but I hope the hints I suggest here are useful for beginning readers. Thanks Gilbert! I will read your article, it sounds interesting. Interesting article, Jean. I wrote a short story of fiction including Tarot Cards. Happy Imbolc to you. I am in NJ, and hoping for a quick Spring! Same here! Research is the best! Thanks again for the response :) Good luck with your students and happy Imbolc! Thanks Amber. It's a fun hobby, but I am not someone who just jumps in, I like to research first and decide how I want to approach a topic. I agree, Jean, people should slow down and enjoy/understand the process. Great way to go about it! Thanks for the response :) Be well! Compliments from you I take very seriously. Thanks. Sons. Mine is 30 and back living with me. They are the gift that keeps on giving, though it's been a rough patch for us both and I appreciate the help. You are quite welcome. As a beginner, I chose one card each day or night, and the next day wrote in a journal what I thought it meant and how it affected my day. I moved onto a 3 card reading. After a few months, I went back to the journals. Two things happen--you see a few particular cards show up often, and you begin to really understand what the cards mean now, because you see it. Really, you should do it. 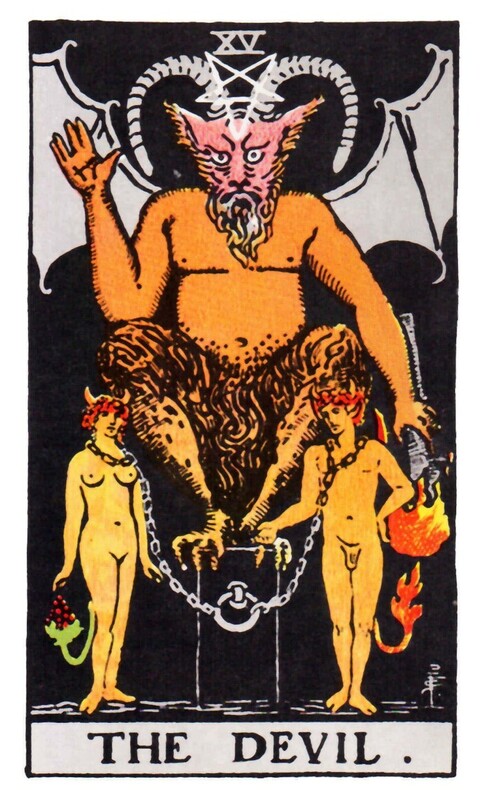 The Rider Waite is the most popular deck, I would start there. But I love the Motherpeace, being an older style Feminist. If you need help please don't hesitate to ask! It's always great to begin something new in your life! Thanks for taking the time to be so kind! 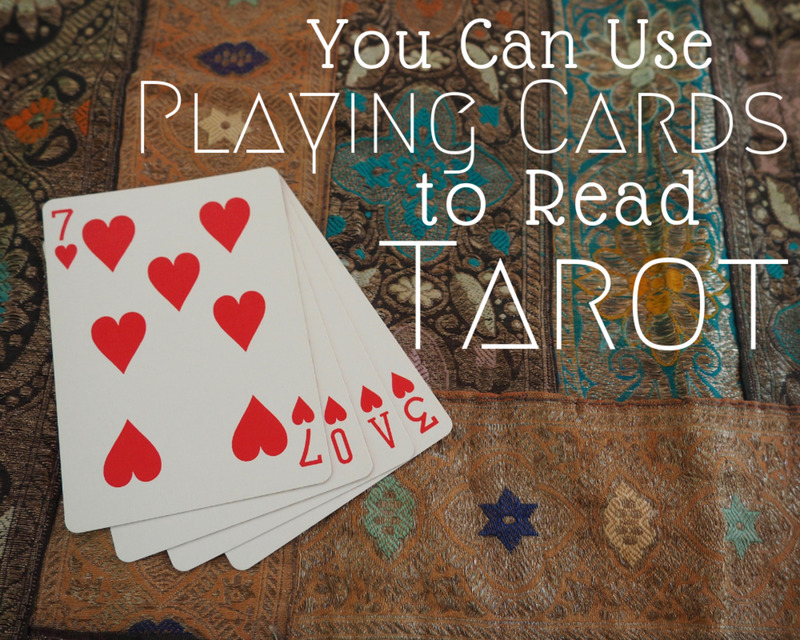 I teach tarot and often my students just want to jump in and start reading for people. I love their enthusiasm, but am a planner, and think they need to know what they are getting into when they read for others. Best Regards. Very nice description and advice, Jean, a well written article. I've had a couple of Tarot readings. In the very first one the reader said that I would receive an upsetting phone call. Did she ever hit the nail on the head. I had a 13-year-old son who was just learning to spread his wings, and I received upsetting phone calls for the next three years. 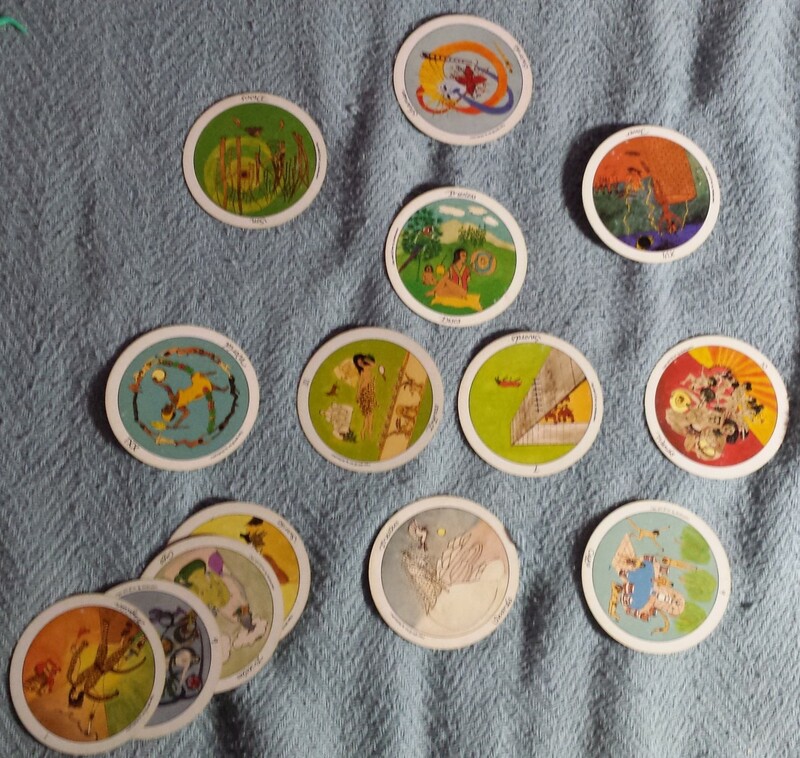 LOL When I was studying in metaphysical school, I bought a set of Tarot cards intending to learn to use them. My higher told me that wasn't my path, so they are still in the box. Great article! Well written, informative, and true to the spirit of tarot.